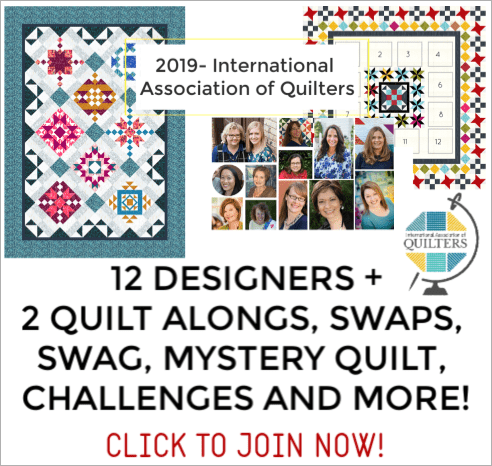 Picking up a fat quarter is pretty simple….in fact I think that if you are a quilter, it is would be like breaking the law if you didn’t have a fat quarter in your stash. After we have decided that we can in fact cut them up, the next decision is to use them in what? That’s right, how do they get in the mix? How do they fit into our projects? What can we do with this not so square piece of fabric? Today we are going to play a little bit with the fat quarter and get a few of them into a project…. 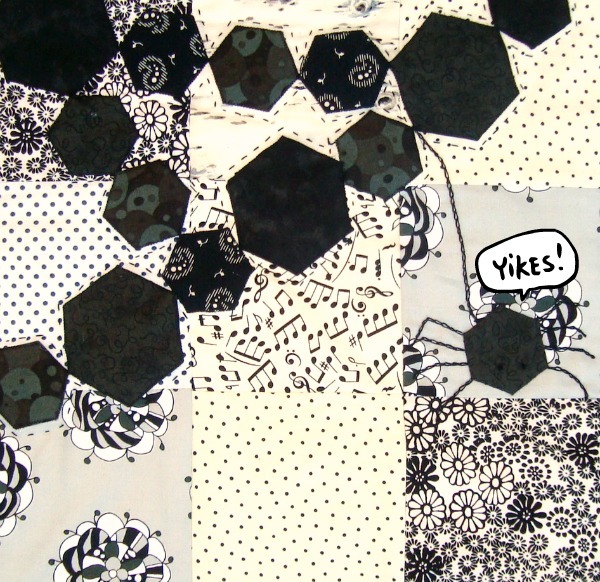 a little fat quarter quilt. 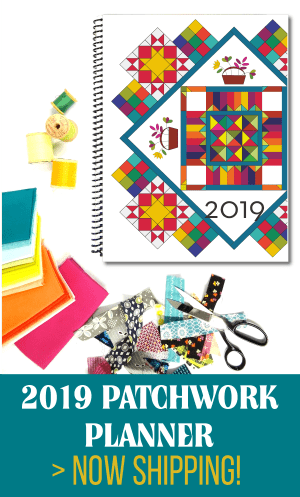 I am not sure if you have noticed that hexagons are kind of like everywhere…and I am beginning to like the fact that I can haul them around in a little sewing kit to work on wherever I might be. Putting them together just felt like the next sensible step. It’s of course Halloween time…so that would be the next inspiration for the project. So, start digging around in you sewing studio and find yourself some Halloween-ish fat quarters and let’s get started. I kept the colors very basic– black and white, but I really could see this super cute with some great colors or maybe a black background with white hexagons. 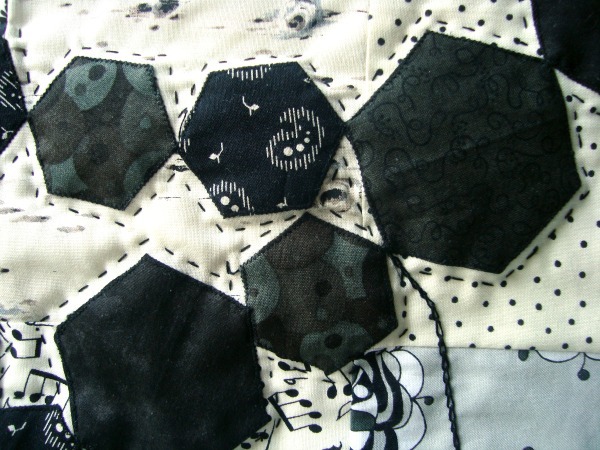 After I sewed the hexagons down I did some hand stitching with embroidery thread around them. 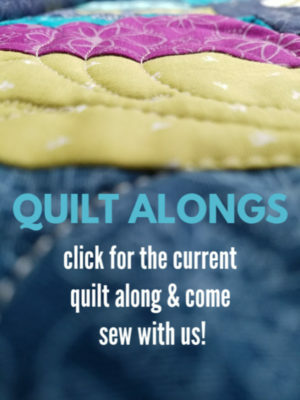 I don’t do much on the hand quilting side very often, but sometimes a little bit is just needed. Make 4– 1 1 /2″ hexagons and 10– 1″ Hexagons This is what I used, but feel free to audition different designs and layouts. 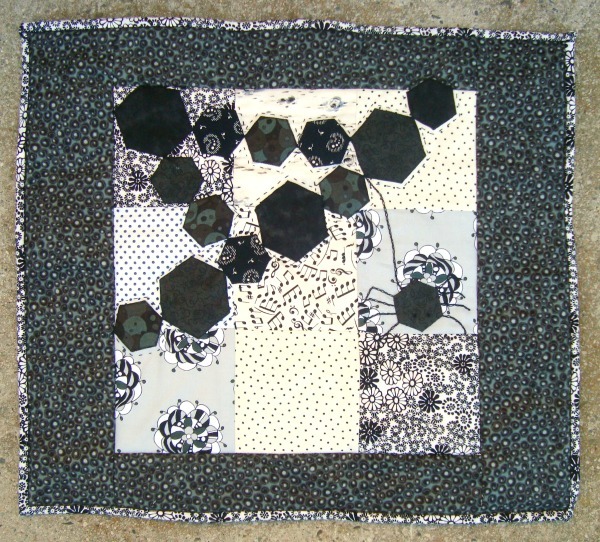 Lay out hexagons in pattern shown on picture. The end hexagons can go over the border, that’s ok! 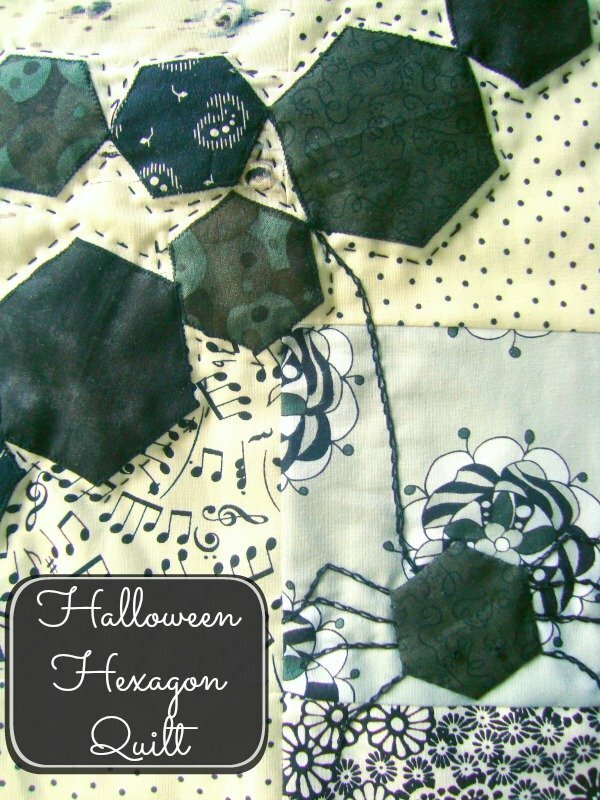 If you sew up this little Halloween quilt- mind sharing it? There is a flickr group set up for use to see what you come up with. I’d love to see it! Have you ever used hexagons for making shapes? I am thinking some pumpkins might be up next! Super cute! I LOVE the spider made from the hexagon. Cute! I just love all the hand stitches. 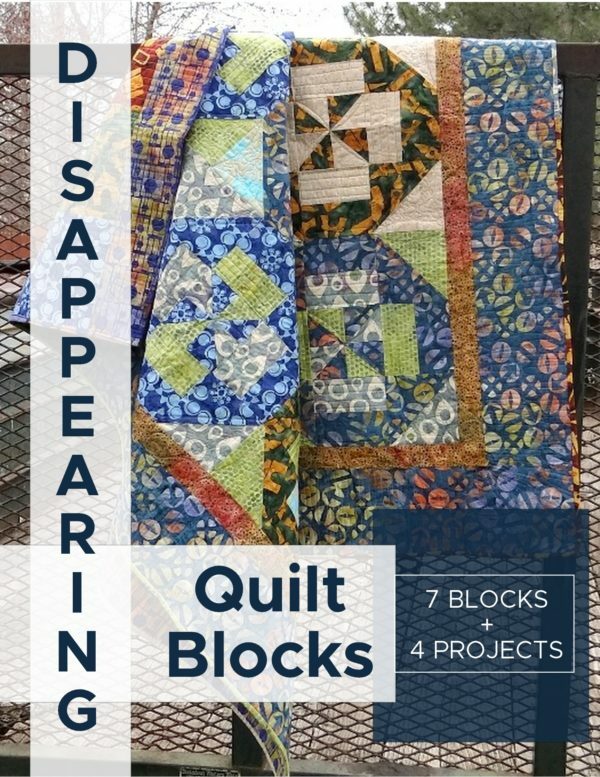 This is a cute quilt!